03.02.2015. Napier, New Zealand. 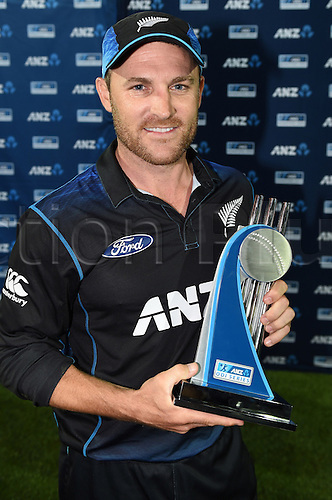 The Black Caps captain Brendon McCullum poses for a photo after a 2-0 series victory over Pakistan. ANZ One Day International Cricket Series. Match 2 between New Zealand Black Caps and Pakistan at McLean Park in Napier, New Zealand.